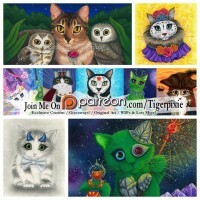 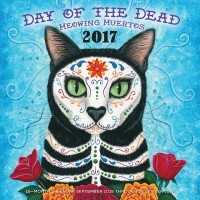 My cat art in the Day of the Dead Meowing Muertos 2017 Calendar! 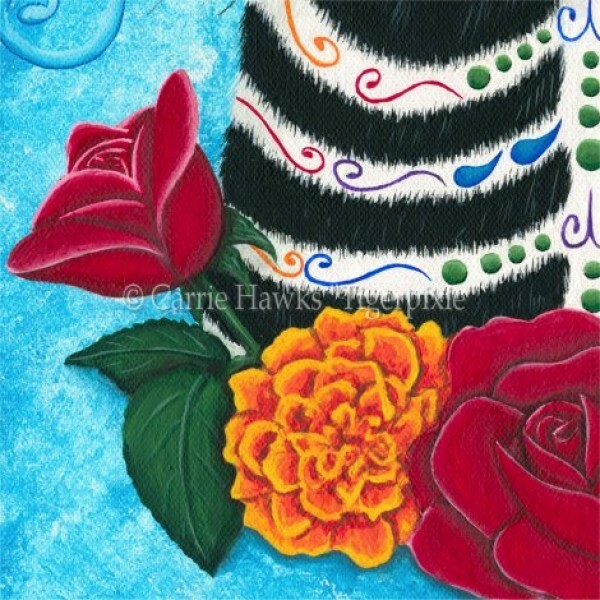 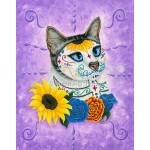 Day of the Dead Cat - Prints - "Día de los Muertos Gato", Here's my black cat George all painted up as a colorful cat sugar skull, framed by some beautiful Marigolds and Roses for the Mexican holiday Day of the Dead and All Souls Day. 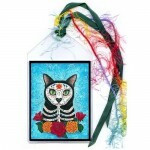 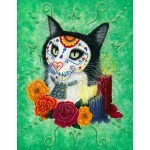 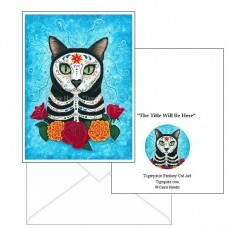 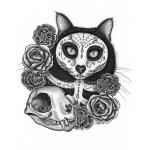 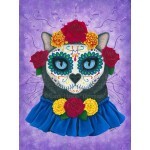 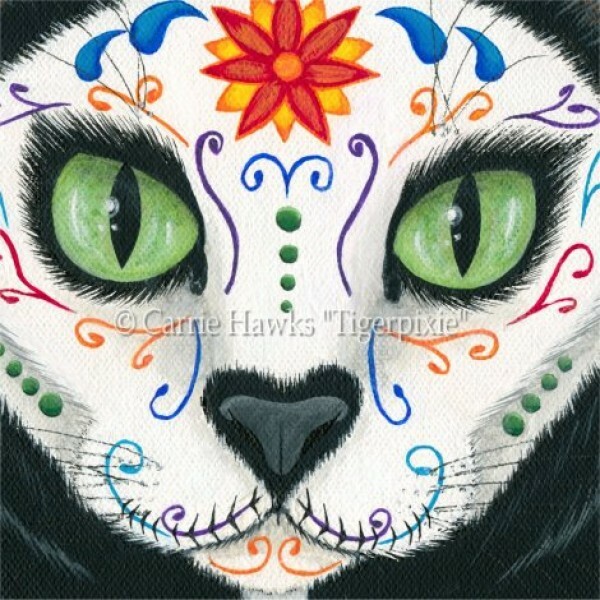 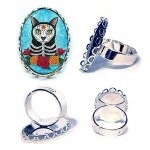 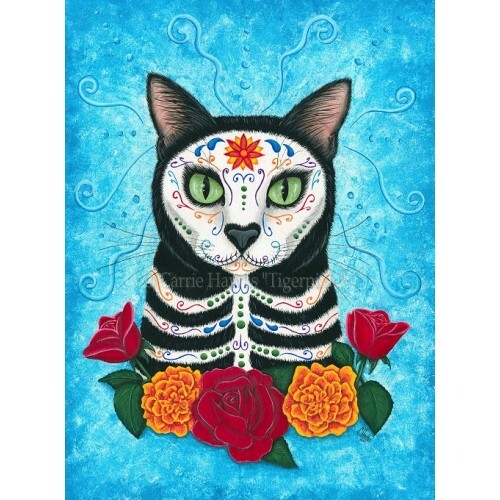 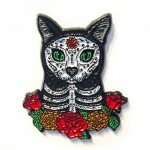 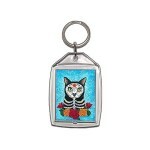 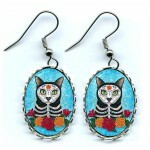 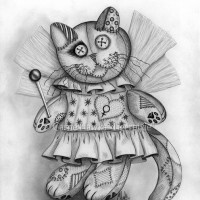 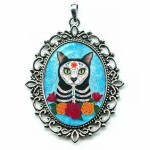 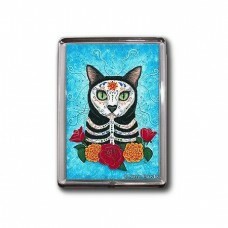 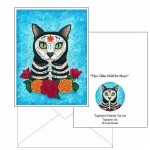 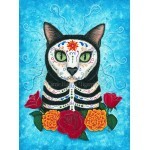 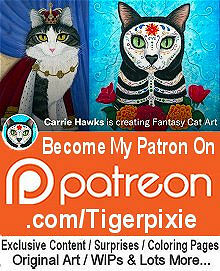 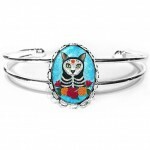 Day of the Dead Cat Gal - Prints - "Día de los Muertos Gato", A beautiful gray and black cat all painted up as a colorful cat sugar skull, framed by b..
Day of the Dead Cat Skull - Prints - Día de los Muertos Gato, A striking black and white illustration of a black cat painted as a sugar skull cat, fra..
Day of the Dead Cat Candles - Prints - Día de los Muertos Gato, A gorgeous black and white cat wearing an ancient Aztec necklace of silver and turquoi..